Today marks the 30th anniversary of the Chernobyl disaster in Ukraine — the date that a nuclear power plant outside the town of Pripyat melted down, releasing deadly amounts of radiation into the surrounding area. The disaster killed 31 people in the immediate aftermath, afflicted many more with cancer or birth defects, and turned an 18-mile radius around the plant into an abandoned “Exclusion Zone.” But in the years since then, the space’s eerie emptiness — especially as nature begins to reclaim it — has made it a popular destination for visitors. Now, multiple projects hope to capture this feeling, using the medium of virtual reality. 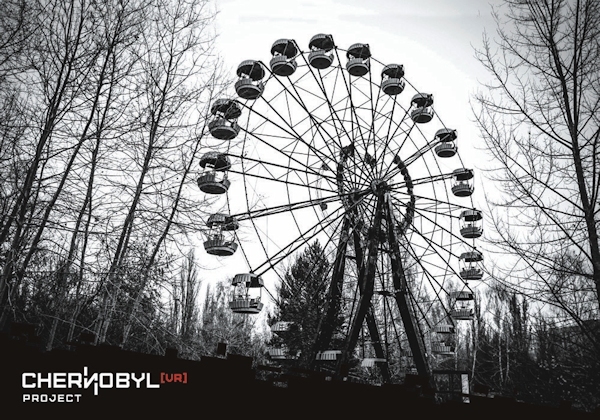 The first experience is called The Chernobyl VR Project by game studio The Farm 51, and we’ve written about it before. It combines 360-degree video shot across the Exclusion Zone with walkable 3D versions of some inside spaces, created by meticulously photographing each area and transposing its textures onto rendered objects. I tried an early version at last month’s Game Developers Conference, and while some elements felt a little too clean-lined to be real, others are surprisingly realistic — at certain moments, it’s almost impossible to tell the difference between a still photo and the 3D reconstruction. Some of the footage can be found in the 360-degree trailer above, watchable on a flat screen or on Google Cardboard for Android users. The project was originally supposed to see release today, but it’s since been delayed until June; it will start on the Oculus Rift, then move to other headsets. After release, the team has promised to donate a percent of each sale to organizations that support victims of the Chernobyl disaster. But they’re not the only ones doing a VR piece on Chernobyl. A second project, called Chornobyl 360, just launched on Kickstarter with its own 360-degree video trailer, seen above. It’s supposed to see release on the Rift and mobile headsets in December of 2016. Chornobyl 360 promises a different focus, chronicling the lives of people who still live or work in the Exclusion Zone, and creating a series of individual stories that can be pieced together during the experience. That means alongside the ruins that appear in countless photo essays, viewers can see things like the construction of a new “sarcophagus” that will seal Chernobyl’s reactor in 2017.